Join us for the 8th Unconventional Conventions Antarctica conference. 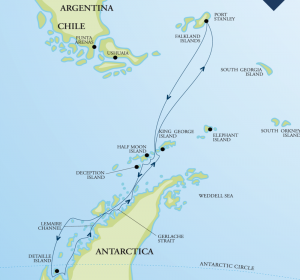 For the first time ever, we will be extending the cruise to visit the Falkland Islands and down to cross the Antarctic Circle. Plus, join us on the Post-Conference Tour of Patagonia. Be inspired by the pristine beauty of Antarctica – massive sparkling blue icebergs; sweeping ice sheets; towering mountains; spectacular sunsets. Be thrilled by the glorious abundance of wildlife – cute penguins waddling; plump seals basking; magnificent whales breaching; and millions of seabirds soaring. Join us for this remarkable expedition to Antarctica – the ideal way to combine high quality continuing medical and dental education with travel to the last frontier. The dental conference program is being hosted in collaboration with ADA NSW. Unconventional Conventions’ director for the past 20 years is a practicing doctor who takes great pride in offering a comprehensive, stimulating and appropriate academic program. Unconventional Conventions aims to ensure that the combination of lectures, workshops, hospital visits, training activities and clinic in the community make up more than 50% of daily activities during the main conference tour. Many of our travel destinations provide an opportunity for local professional contribution and cultural exchange through workshops and structured visits to local clinics. Our conference programs are prepared over a 12 month period and full details are available 3 months prior to the conference.  Unconventional Conventions is an accredited education provider for RACGP. Application for ACRRM points is made for each conference. Dental programs are certifiable with Dental Board of Australia. Specialists may apply for CPD points at their own discretion. This remote stretch of the Antarctic Peninsula is visited for just a few short months each year. From January onwards, seasonal ice conditions give us our best chance of achieving our objective – crossing the Antarctic Circle. Here we witness expansive landscapes, sizable Adelie penguin rookeries and we hope to see the large tabular icebergs that have drifted north from the Bellingshausen Sea. We always anticipate exciting ice navigation on this expedition. Detaille Island, below the Circle is a spectacular location. The snowy peaks which surround us, soar more than 2,000 meters above the ice-strewn waters. We aim to cross 66 degrees, 33 minutes south of latitude, which officially marks the position of the Antarctic Circle on the global map. 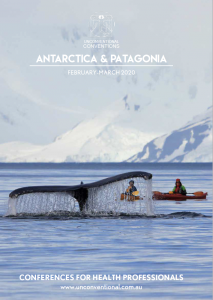 We then return north, along the heavily glaciated coastline of the Antarctic Peninsula, passing through the Argentine, Fish and Yalour Island archipelagos along the way and into the Gerlache Strait and Danco coast region. Several locations in the South Shetland Islands provide yet more fascinating places to explore. Over the course of the voyage, there is an exciting selection of activities to choose from each and every day – including short or long hikes ashore, visits to historic points of interest and wildlife colonies, Zodiac cruising looking for whales and seals or simply photographing the incredible icebergs. Such activities are enjoyed in the company of our onboard team of wilderness guides, naturalists and photographers. In November 2018, a purpose built polar expedition vessel RCGS Resolute will join the One Ocean Expeditions fleet, to offer the most capable, safe, and exclusive expedition cruise fleet in the industry. Built in Rauma, Finland, RCGS Resolute offers modern stabilization and unsurpassed ice classification (Lloyds 1AS) compliant with the new Polar code. Perfectly equipped with the right hardware to offer our full range of activities, guiding our adventurous guests on their quest to imagine, explore and discover the world’s most remote and awe inspiring regions. Each day on the Antarctic Peninsula every passenger has the opportunity to go on a zodiac tour or shore landing twice a day (weather permitting). Because of a strict limit of numbers allowed, larger cruise ships are unable to provide this for all passengers. You will get the opportunity to see a huge variety of wildlife, up close and personal. The wildlife experts onboard will answer all your questions so that you get the most out of the experience. Antarctica is a unique place for photography. Whether you are semi-professional, or shooting with your iPad, you will be able to take amazing photos every day, with advice from onboard experts. Some locations offer the opportunity to go on short or long walks, depending on your fitness level and preference. Some people may wish to choose the optional kayaking package. This will give you the chance to kayak through the sea ice and around icebergs. This unique opportunity is limited to 12 people, so if this is a draw card you need to book now. For the adventurous, you have the very rare chance to camp in Antarctica. Don’t miss out!! Not many people can say they have done this. Like nowhere else on earth, Chile’s Atacama Desert is THE destination for those who want to get off the beaten track, thrive on adventure (soft or not so soft – you choose) and have a passion for photography. Marvel at the incredible landscape of jagged, rust-coloured ravines; vast rocky white salt pans; volcano-topped horizons. From your base in a state-of the-art eco lodge, you can immerse yourself in one of the most remote and spectacular environments on the planet. If you have already seen the regular highlights of South America join us on this tour of some more off-the-beaten-track attractions and chose your own adventure. Patagonia evokes the image of the last frontier. A fabled landscape of rugged peaks veiled in clouds, lush forests, glaciers that extend to the horizon tumbling into electric-blue lakes, endless steppes unpopulated for hundreds of miles; a herd of guanaco grazing nonchalantly. Nature lovers – don’t miss out.